Kevin Murnane served as manager and director of Tahoe XC from 1999 to 2015. His passion and smile were instrumental in rallying skiers and friends around our community-based, non-profit, cross-country ski organization. He expanded the local youth programs and supported the local middle and high school Nordic ski teams. Thanks in a large part to Kevin’s vision and passion, Tahoe XC still provides free weekly clinics and hosts community events like the Alpenglow 20k, the Great Ski Race and the Tahoe Rim Tour. He brought infectious enthusiasm and love for Nordic skiing to Tahoe Cross-Country. In 2015, Kevin lost his battle with depression and Tahoe lost an upstanding citizen and a truly good friend. In honor of everything Kevin did and believed in, TCCSEA developed the Kevin Murnane Scholarship and the Kevin Murnane Coaching Development Grant. The scholarship is for graduating student-athletes who participated in Strider Gliders and/or the North Tahoe Middle/High School xc ski teams, and the grant is for local coaches to further their education and training. The Kevin Murnane Student Scholarship is awarded to two graduating North Tahoe High School student-athletes each year who demonstrate selflessness, decency and good nature within our community. Each scholarship is worth up to $1,000 and awarded to deserving North Tahoe High School graduating seniors who have participated in Nordic ski program(s) at Tahoe XC, Auburn Ski Club, Far West, North Tahoe Middle and/or North Tahoe High School. Although it is not required that applications ski competitively in college, we are proud of how many Tahoe Cross-Country skiers go on to compete at national and international levels in Nordic skiing, and how many return to Tahoe XC to participate in this healthy, lifelong sport. Application deadline is March 31st. The Kevin Murnane Coaching Development Grant is designed to support hard-working coaches who mentor our young North Tahoe athletes and who need financial support to attend clinics, symposiums, classes and trainings. Kevin understood the need for quality coaching and for developing strong youth programs. This grant is awarded each year on June 1st in an effort to continually support our local Nordic coaches. Recipients must provide receipts for the grant monies to be applied. Please donate to the Kevin Murnane Scholarship online using the donation button below or to avoid fees and have your full donation amount go to the scholarship, send a check to PO BOX 7260, Tahoe City, CA 96145. 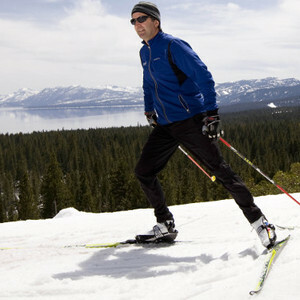 Make checks out to Tahoe Cross-Country Ski Education Association, with “Kevin Murnane Scholarship” in the “for” field. Thank you for supporting our North Tahoe student-athletes and coaches. Thank you to Tahoe City Chevron and the Milton-Shoong Foundation for your generous donations that started the foundation and for promising to help keep it going.